the UK. 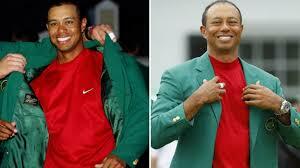 Its achievements are drawing comparison’s with Jack Charlton’s Irish side who, 25 years ago, made it to the World Cup quarter finals in the USA with a team made up primarily of players born to, and in one case adopted by, Irish parents and grandparents. For Montserrat the USA also beckons, with qualification for the 2019 Gold Cup (the International Tournament for North and Central America and the Caribbean) a distinct possibility. Coincidently, Montserrat’s final decisive game of qualifying is 22nd March, a few days after St Patricks Day. 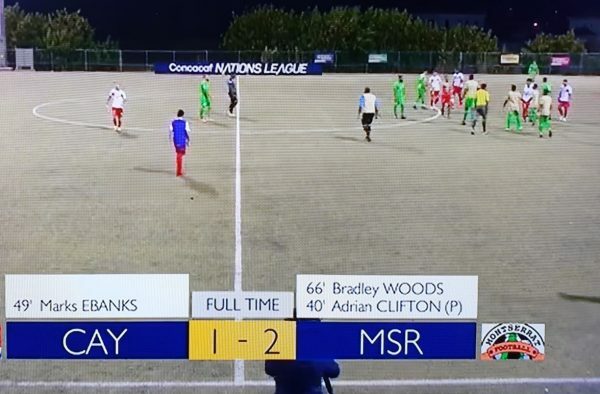 Montserrat’s unexpected charge to the finals is being helped by a number of factors: A one-off free for all qualifying tournament designed to facilitate the creation of the new Concacaf Nations League, and an expansion of the Gold Cup Finals to 16 teams. They also have a very experienced coach, Willie Donachie, who has coached in the Premier League and been to two World Cups with Scotland. Whether or not the team makes it the USA, the journey has been an experience, with the players clearly relishing the competition. They have already qualified for League B in the New Nations League, which gives them another, but more difficult, chance to qualify for the Gold Cup in two year’s time. 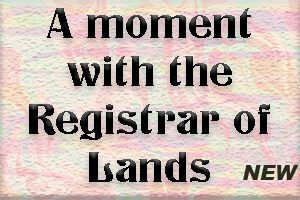 So what does it mean to be an English born Montserrat international? It is clear from reading their interviews and tweets that it means a lot. They are a close group of players. Being a small group, they have known each other for a few years now, and their common Montserratian heritage is something they are proud of. Brandon Comely said after the El Salvador game: ”it was the first time that I’ve lined up in a game with my brother and going to play for a country that’s in our blood was a proud moment. “Spencer Weir-Daley said: “Playing for your country is one of the best honours in football” and that the team was honoured to be “representing their parents and grandparents”. Adrian Clifton has said that “not many footballers get an international call up even those in the Premier League. As a footballer it is one of the proudest things you can do, whether it is playing for a big country or a small island everyone wants to play for their country. With my family coming from Montserrat I’ve got massive support there.” After the Belize game he tweeted: “the phone call I just got from my grandad actually made me cry”. Taylor has also spoken about meeting an Uncle “Beep-Beep” who he never knew he had, and Dean Mason has said: “I felt more of a connection with my Grandmother when I went there. It’s a really nice feeling to play for my country and to make her proud. When you meet the locals, they explain to you what they went through with the volcano”. Whatever the outcome of this season, the achievements over the past few months have shown that the team is far better than their lowly seeding recognised. 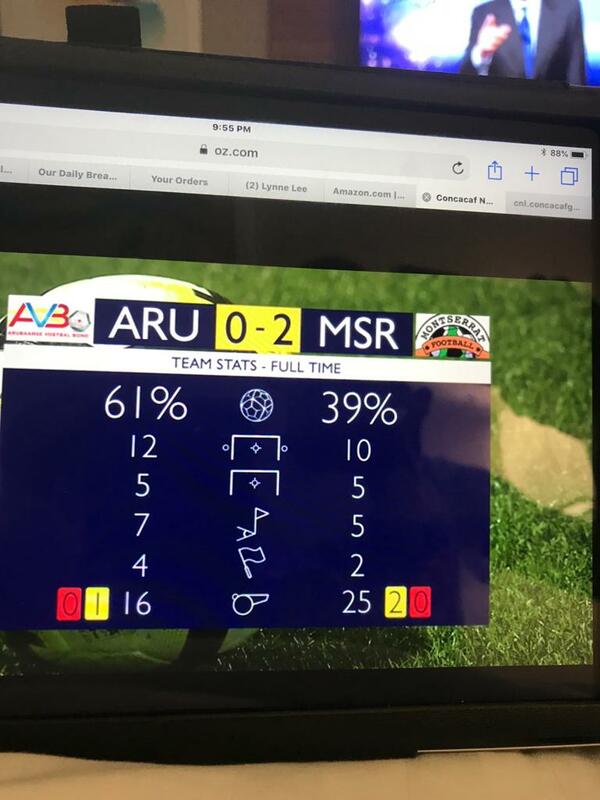 Donanchie’s assistant, former Everton physio Mick Rathbone, described the win over Belize as the best team performance he had seen in his whole life. Posted on 17 November 2018. The following is taken from a ‘blog’ (Living on the Island of Montserrat Montserrat’s only ironically meta blog covering football, human rights and shopping) that we were introduced to by pure coincidence as a result of the clip of the final score in Aruba just a bit earlier. 17 October 2018: That will be a date which will have a special place of significance in Jamaican football history forever. The Reggae Girlz became the first Caribbean nation to qualify for a senior Women’s World Cup on that date, defeating Panama 4-2 on penalties after an extra-time 2-2 draw in the match for third place at the CONCACAF Women’s Championship, the region’s qualifying tournament for France 2019. 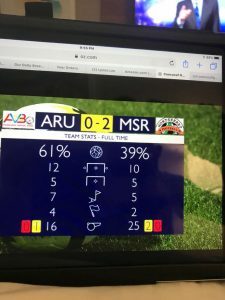 Casual observers would have seen the penalty shootout and the resulting celebrations from the women in the yellow jerseys and perhaps thought it was just another team winning a penalty shootout. But it was far more than that. Let Jamaica head coach Hue Menzies give some context to the moment. “I’m telling you the amount of sacrifices we’ve made – the staff, the players – for the country, we’re going to change the culture back home,” Menzies said. “How they perceive women, it’s changed. “It’s a big sacrifice. And you know what? Those 20 girls decided they were going to make the change. It’s amazing right now. Not too many words can be said. The Reggae Girlz will be playing in their first-ever world finals in France next summer, the same country that the Jamaican men’s national team competed in their first-ever World Cup in 1998. Posted on 06 October 2018. TMR: Is one-day limited overs killing WIndies test cricket? RAJKOT, India, CMC – West Indies suffered a humiliating innings and 272-run defeat inside three days in the opening Test here Saturday, to hand India their largest-ever victory in Tests. Starting the third day at the Saurashtra Cricket Association Stadium requiring a huge effort to remain in the contest, West Indies spectacularly lost 14 wickets, to extend their unflattering 24-year-old record without a victory on Indian soil. They were dismissed for 181 in their first innings after resuming the day on 94 for six, with Roston Chase top-scoring with 53 and tail-ender Keemo Paul getting 47. Off-spinner Ravi Ashwin grabbed four for 37. Following on by 468 runs, West Indies capitulated a second time for 196, despite an attacking 83 from left-handed opener Kieran Powell. Kuldeep Yadav wrecked the innings with five for 57 while fellow left-arm spinner Ravi Jadeja picked up three for 35. 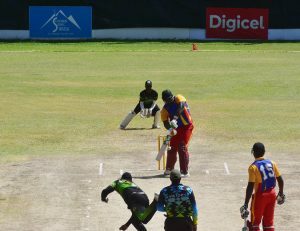 Antigua & Barbuda ended the tournament with a dominant 136 run victory over Monserrat to finish the tournament in second place. 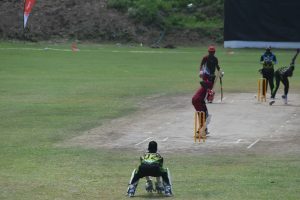 It was a rain affected day’s play which ended the match prematurely late on the last day of the tournament when the only fixture for the day was between Antigua and Montserrat at Little Bay. Antigua & Barbuda with a hard-hitting innings which was interrupted when skipper Rahkeem Cornwall limped off the field with a leg injury to return at the fall of the ninth wicket and scoring 118 runs. 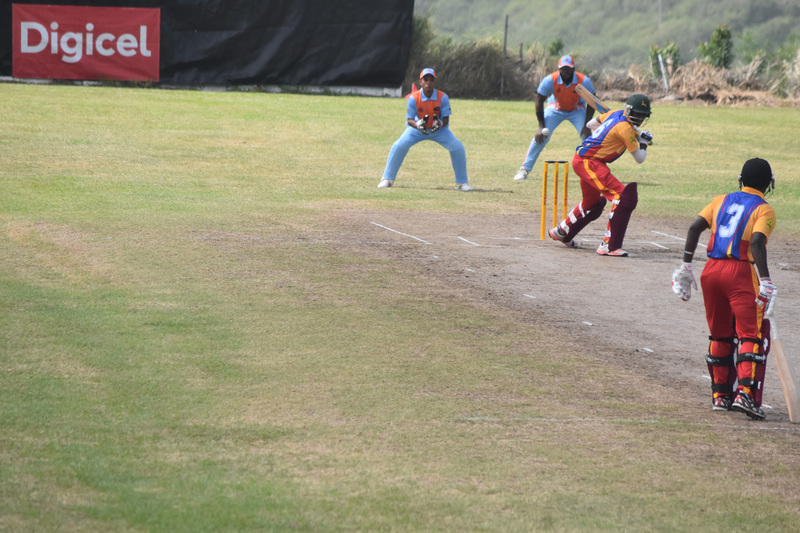 Antigua & Barbuda amassed 245 runs from 47 overs, losing 9 wickets. Cornwall’s belligerent unbeaten knock came off of 80 deliveries and included 7 fours and 10 sixes. He was supported by small contributions from Jamaul Fernandez (26) and Orlando Peters (24). Like the day before Montserrat fumbled badly after capturing the A & B first 3 wickets under 10 runs. After a partnership between Fernandez and Peters they captured 4 more wickets before A & B posted 100. The slow left-arm bowler dapper Zawandi White captured 4 wickets for 38 runs for Montserrat while Damion Williams took 2 for 60 from 9 overs. In reply, Montserrat limped to 97 for the loss of 7 wickets chasing a revised target of 233 runs, when the rains poured down and invoking the Duckworth/Lewis/Stern method strongly in favour of the overpowering Antigua position. Deno Baker scored an unbeaten 26 runs to lead the batting while Jaison Petrs scored 24 runs. Bowling for Antigua, Kofi James ended with 2 wickets for 16 runs from 9 overs and Jamaul Fernandez took 2 for 20 from 8 overs. 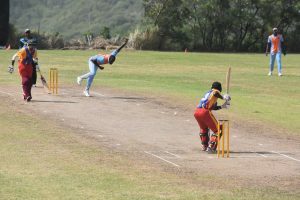 On Monday, September 23 at the Little Bay, Montserrat fixture in the LICB 50 Overs tournament, Nevis won its final match of five encounter defeating Sint Maarten by 6 wickets to record its first victory of the tournament. Jamie Cornelius’ unbeaten 55 spearheaded the win receiving support from skipper Adelvin Phillip, Nevis chasing down a revised total of 154 due to rain delays. Nevis reached the total in the 35th over. 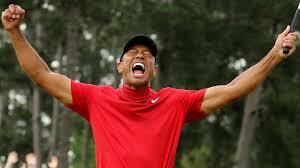 completed the victory with relative ease. Daniel Doram picked up 2 wickets for 17 runs from 8 overs for Sint Maarten. Batting first, Sint Maarten reached 163 for 9 off of 45 overs while opener Sherwin Peters top-scored with 34 runs. Bowling for Nevis, Jamie Cornelius took 3 wickets for 30 runs from 9 overs while Joseph Williams took 3 for 28 from 8 overs. For his all-round effort, Jamie Cornelius was awarded the Man-of-the-Match award. After a strong bowling start, Montserrat allowed Anguilla from 114 for 7 to post a score of 210. 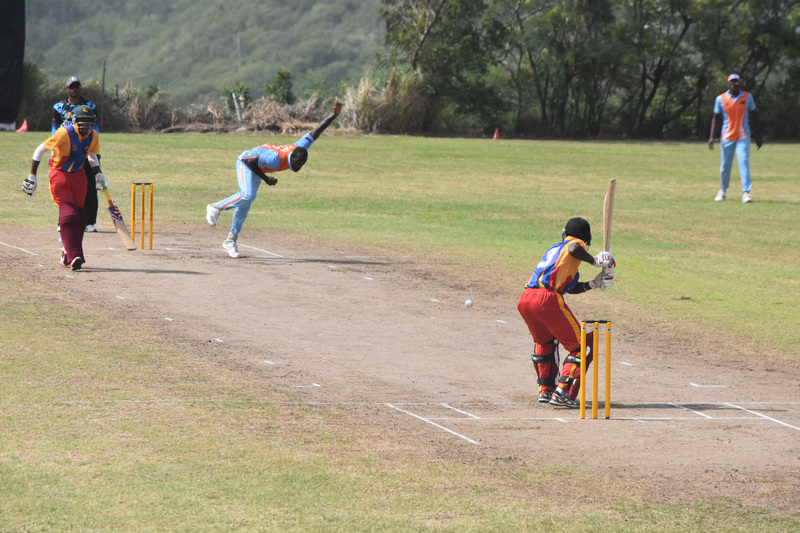 But it was nail biting finish that gave Anguilla their second win of the tournament, Montserrat needing 8 runs in the final over falling short by 3. 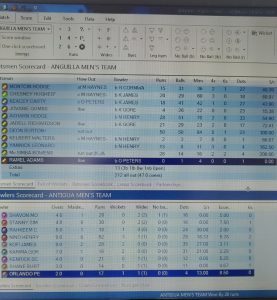 Opener Montcin Hodge led the way with 54 runs off 60 deliveries and lower order batsman Yannick Leonard scored 51 runs off 67 balls before he was run out in the 48th over. 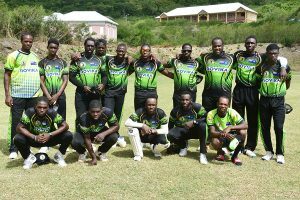 Bowling for Montserrat, Deno Baker took 3 wickets for 27 runs and Damion Jacobs took 3 wickets for 29 runs, each bowling bowling 10 overs. Montserrat received solid knocks of 48 from Jaison Peters and 47 from Shavin Tuitt earlier in the chase with Jemuel Cabey contributing a 33 ball 32 in the lower order but the overs ran out as they tried to score 8 runs from the last over, only managing 5 runs, ending on 207 for the loss of 8 wickets. 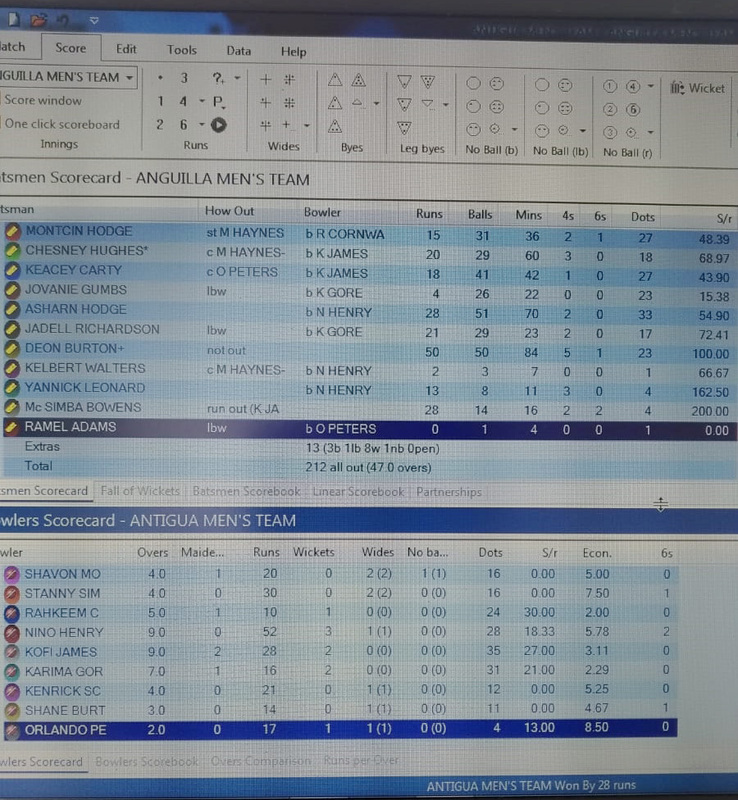 Bowling for Anguilla, Chesney Hughes grabbed 4 wickets for 38 runs from 8 overs while Yannick Leonard took 3 for 28 from 10 overs. Man-of-the-Match was Yannick Leonard for his all-round performance. for Live streaming at Little Bay Friday, Sept 21. Orlando Peters’ 98 ball 75 helped pilot Antigua and Barbuda to the winning total of 244 all out and secure a 28 run victory against Anguilla. 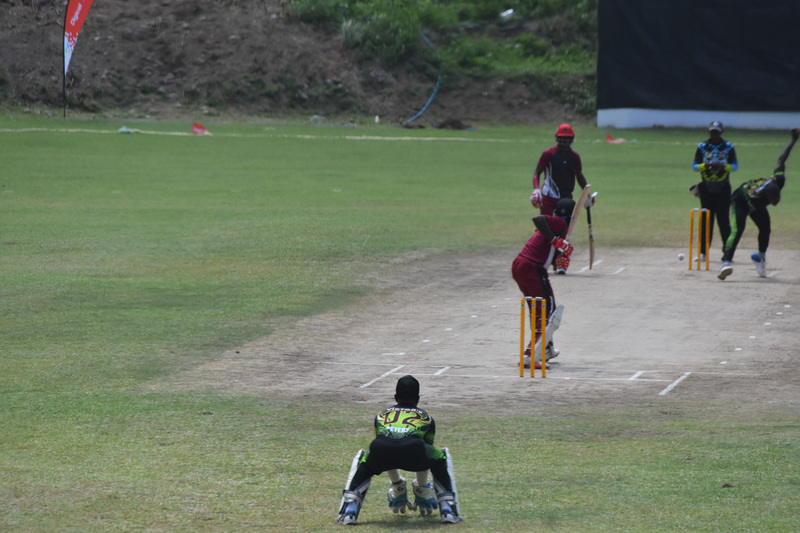 After being asked to bat by Anguilla who won the toss, Antigua and Barbuda started shakily, immediately losing the wicket of Kofi James in the first over to Kelbert Walters for a duck. However the innings continued briskly until the end of the eleventh over when Damien Lowenfield was run out for 20 runs after a 62 run partnership with Karima Gore. The wickets of Gore (40 runs) and Rahkeem Cornwall (1) followed before a 99 run partnership between Orlando Peters and Shane Burton (28) consolidated the innings. Burton’s 44 ball knock came to an end in the 37th over when he was bowled by Yannick Leonard and was followed immediately after by Peters in the next over. Useful knocks by Kenrick Scott, 25 from 26 balls and an unbeaten 19 by Shavon Moore from 16 balls helped to propel the score to 244 all out in 47 overs. 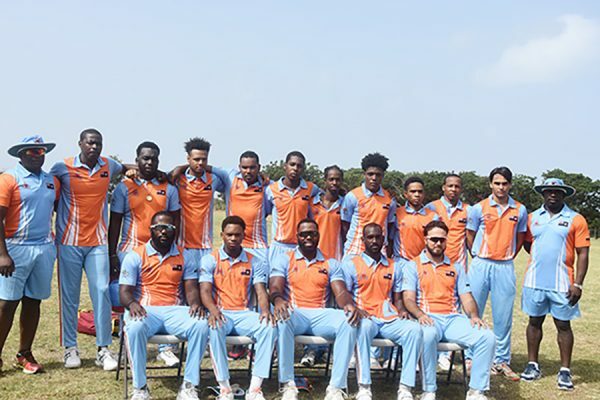 Bowling for Anguilla, Walters ended with 2 wickets for 32 runs from 7 overs, Leonard had 2 for 47 from 10 overs and Chesney Hughes 2 for 48 from 9 overs. Anguilla started steadily in its reply before losing their first wicket in the ninth over when Montcin Hodge was stumped by Michael Haynes-Dover for 15 runs off 31 balls. After that, Anguilla lost wickets steadily around the batting of Deon Burton who scored an unbeaten 48 ball 50 before Anguilla was bowled out for 212 in 47 overs. Antigua began looking shaky; and with just over 3 overs (18 balls) to go and needing 32, the way Anguilla was batting must have caused some jitters, but for a careless run out, the match dwindled to an eventual easy win. Asharn Hodge contributed 28 runs from 53 balls and Jadell Richardson contributed a 30 ball 21 in support of Burton’s efforts. Nino Henry took 3 wickets for 53 runs from 9 overs, Gore took 2 for 16 from 7 overs and Kofi James’ 9 overs conceeded 27 runs while taking 2 wickets. Montserrat also had a scare at Little Bay, where Jaison Peters’ with an unbeaten 71 helped steer Montserrat to victory over Nevis by 3 wickets in a somewhat close encounter. Chasing 167 for victory, Montserrat started shakily at 15 runs for the loss of 2 wickets (Joshua Grant and captain Shernyl Burns) by the fifth over, both batsmen bowled by Nelson Boland. Peters joined Shawin Tuitt to feature in a 62 run partnership in 59 balls before Tuitt was stumped by Jason Campbell for a 37 ball 38. 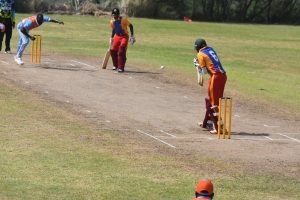 Wickets fell steadily thereafter taking the score to 88 for the loss of 6 wickets before a needed 38 run partnership between Peters and Damion Jacobs (20 form 45 balls), staved off another sccare. McPherson Meade then joined Peters, needing 41 runs with 18.3 overs (111 balls) to take Montserrat to victory in the 46th of 50 overs (28 balls to spare). Boland took 2 overs for 31 runs form his 10 over allotment and was assisted by Jason Campbell’s 2 for 28 from 10 overs and Tonito Willet’s 2 for 22 form 4.2 overs. Earlier, Nevis reached 166 runs in 44.4 overs with the main contribution coming from Tonito Willet who scored 49 runs off 78 deliveries. Adelvin Phillip scored 30 runs in support of Willet. The two Damions led the bowling for Montserrat. Willams took 3 wickets for 35 runs from 7.4 overs while Jacobs took 3 wickets for 31 runs; while Quinton Boatswain took 2 wickets for 23 runs from 7 overs. Peters’ heroic knock earned him the Man-of-the-Match award. Temporary access restrictions at the station have been lifted.